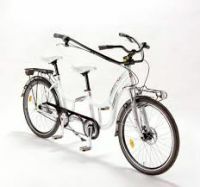 Tandem cycles with either two or three-wheels, which provide seating for two people, one behind the other. Both riders contribute to the propulsion of the tandem and one person controls the steering, brakes and gears. 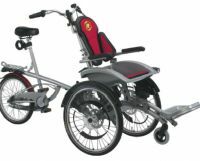 They may be suitable if your child is blind, partially sighted or cannot steer or brake, but can pedal and balance. Passenger cycles which provide seating for a child who does not contribute to the propulsion of the cycle. Trailers and units which add on to other bicycles. 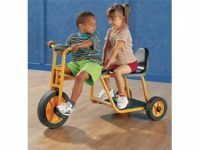 A two-wheeled version will be more stable if your child has reduced balance or throws their weight about. Cycling can still be a lot of fun even if one rider can't pedal. Remember though that a passive rider will feel a lot colder than an active pedaller. 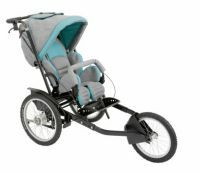 These tandem and passenger cycles may include supportive accessories such as toe straps, backs supports, headrests and pelvic straps. 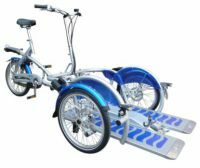 Tandem cycling can be lots of fun and may be ideal for people with little or no limb movement, people with learning difficulties or people with complex needs. Check whether the cycle will allow each rider to contribute according to their ability, so that one partner doesn't have to struggle to keep up. To be successful the front rider needs to have good vision, agility and patience. The rider who sits behind needs energy, a sense of adventure and trust (Disabled Travel Advice). Bear in mind that trailers get harder to handle as your child gets heavier or older. An alternative is to look at a passenger cycle that puts your child in front. 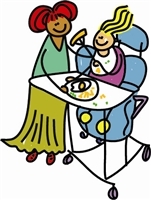 This will also provide your child with a better view and allow for easier conversation and supervision. Even on the flat, the weight of a passive passenger can be a lot for one person to pedal, so you may wish to investigate a power assisted option.